Its here! 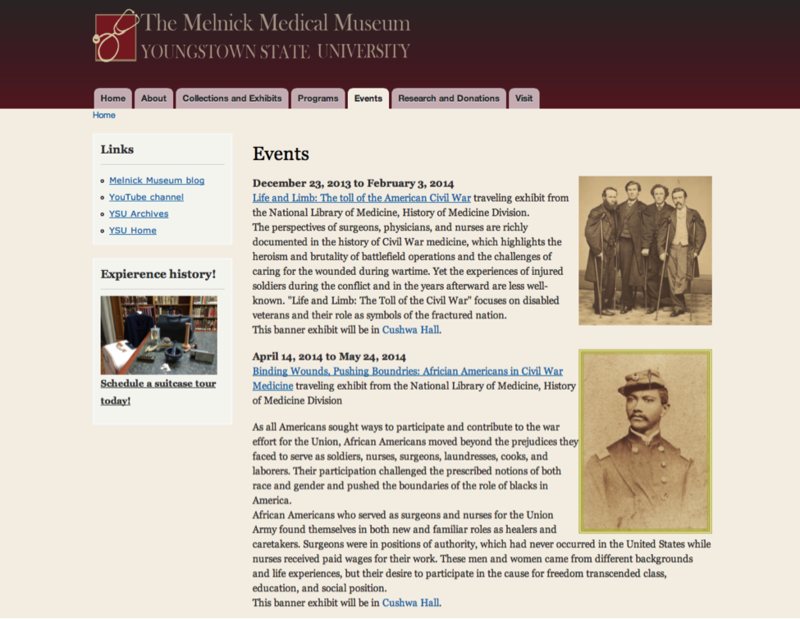 The new website for the museum is live today. 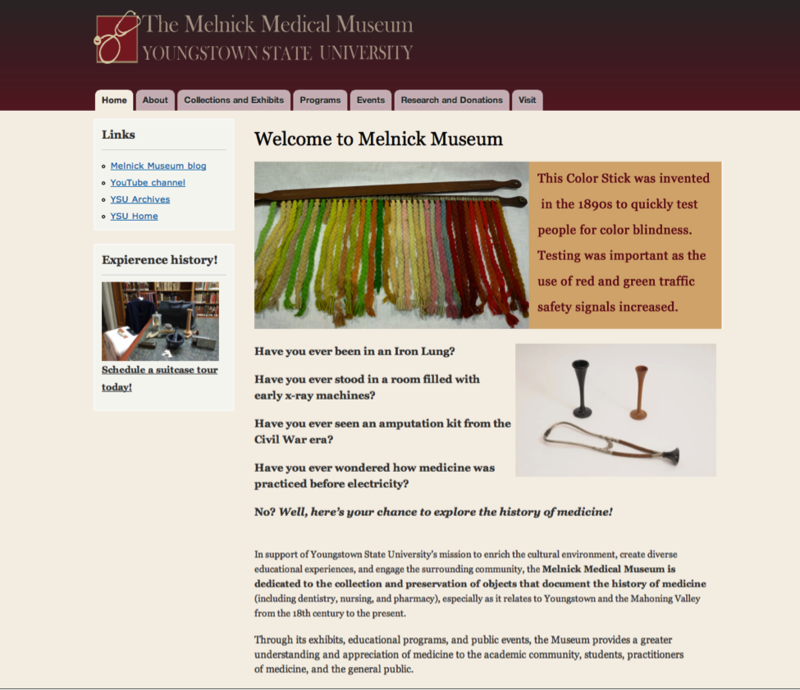 Check it out at http://ysu.edu/melnick-museum/. With all the changes going on at the museum (relocation, storage, and new display areas to name the big ones), it was time to build a new site that would reflect the new direction. I hope you like it. It was made in Drupple so that it will be easier for me to update and add information, like new events and exhibits. The Program and Events tabs both contain new information. I am especially excited to be hosting several banner exhibits from the National Library of Medicine, History of Medicine division. 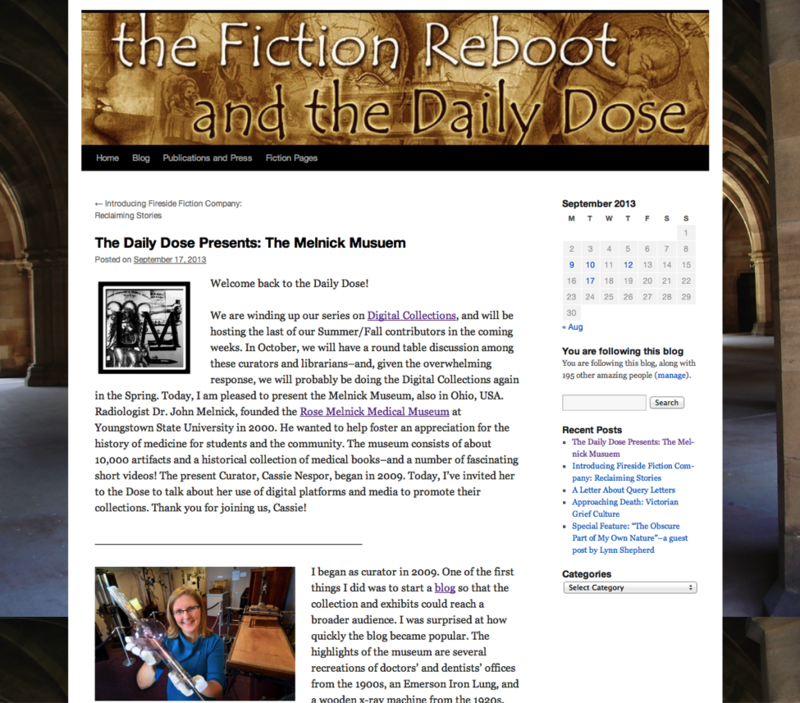 I was also invited to be a guest contributor to the Daily Dose blog run by Brandy Schillace, a medical humanities scholar. She is doing a series on the use of technology in medical libraries and museums. She asked me to write about my YouTube channel. You can read my post here. She plans to do a virtual round table discussion of all the contributors to the series next month. Thanks Brandy! Previous Post New display areas!